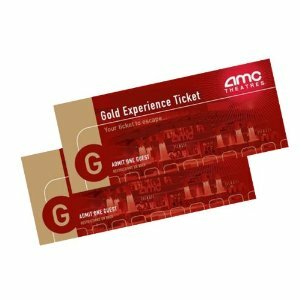 As a gesture of our appreciation for our customers, we would like to give away 2 (two) AMC Gold Experience movie tickets to 1 (one) lucky winner. These are valid 7 days a week at many AMC affiliated theaters. To be eligible to win, just leave a comment at the end of this post. We don’t care what kind of comment. Tell us anything – a joke, how much you like our store :), or just a hello. WE WILL PICK A COMPLETELY RANDOM WINNER out of all the comments on August 15th (Sunday) and that person will recieve the 2 tickets. Winner will be contacted at the email they used to leave the comment. Please leave your FULL first and last name when leaving a comment. You must be able to pick up the tickets in person from our store. We will not mail the tickets. Valid ID will be required to pick up the tickets, unless of course we know you. Limit 1 entry per person. Good luck! CONGRATULATIONS. We used random.org to generate this winner. your calender is the newest and best. Exceptionally good customer service. Thanks. Great selections, great service and with a personal touch of India! We’ve been shopping from Day-1, ever since the store opened. Pratap-ji and family are very friendly and helpful folks !!! Please keep up the great service. All the Best ! I travel 40 miles from Humble to shop here and friendly welcome from uncle relives all the stress and excellent sales on items is bonus.. I would give two tickets to uncle..You really need some rest.. you work hard round the clock..
why doesn’t your mother like me? a woman asks her boyfriend. Don’t take it personally, he assures her.She’s never liked anyone I’ve dated.I once dated someone exactly like her & that didn’t work out at all. My father couldn’t stand her. One acknowledges that modern life seems to be high priced, but people require cash for different things and not every man gets enough cash. Therefore to get some personal loans or small business loan would be a right solution. I like the service at the store. It is very clean. Wonderful service and very personable. We wish U the best Uncle, Aunty & Atul..
Love the fresh chat and snacks here. Hope to see you guys soon. Fresh food, great prices and service with a smile is what makes Touch Of India a step above the rest. Great job guys, keep it up !! I like the service and friendly atmosphere. PLUS this website….. not alot of desi stores have websites I would like to suggest you that please keep it update at all times and also, put every weeks specials/sales on this website. THAT WILL BE GREAT.